Inter-AHP is a fully Integrated suite of Allied health professional information management modules. Inter-AHP facilitates secure, controlled, shared user access for multi-discipline allied health professionals. Each AHP discipline may configure user access and cross departmental user access as they wish. Users may be configured to have read/write, read-only or no access to information to a data element level within each discipline. Allied health professionals can manage patient, episode and treatment workflow in line with current standard operating procedures. Inter-AHP supports multi-disciplinary treatment and reporting with ease. The complete treatment record is available to share with appropriate care givers, enabling them to access the complete AHP patient’s care via one intuitive system. The Inter-AHP suite facilitates increased productivity through minimising repetitive and administrative tasks. The Inter-AHP current release supports Physiotherapy, Occupational Therapy, Speech and Language Therapy, Nutrition and Dietetics, Special Diet Requesting, Social Work, and Sleep Laboratory. The Inter-AHP Suite is designed to facilitate Allied Health Professionals spending more time on patient treatment and delivering patient care while reducing time spent on data entry, administration and reporting. The Multi-Disciplinary Inter-AHP case management structure (Patient, Episode and Visit) allows AHP’s to securely manage and share patient data in a controlled manner. It also offers hospital management real-time and immediate access to Allied Health utilisation and relevant outcome information. Inter-AHP is a secure, accessible system that’s easy to use, helps improve patient outcomes and facilitates the continuity of patient care. 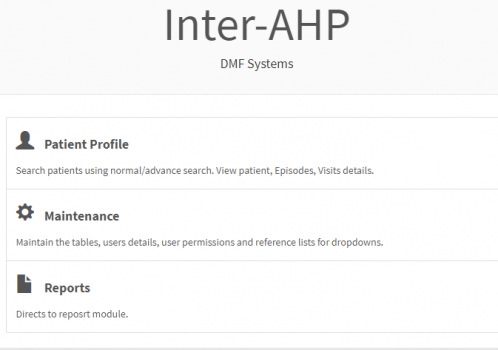 The Inter-AHP Suite integrates with the Hospital Patient Master Index through DMF Systems Shared Patient Index. This allows the Inter-AHP suite integrate with the Hospital’s resource planning, the Inpatient and Outpatient scheduling systems. Information can be delivered to Hospital Management around HIPE and Patient Cantered Costing. The system allows the AHP Departments to easily record the Patient’s treatment, Medication, Treatment outcome and details all appliances provided to the patient. The system also supports the tracking and management of direct and indirect patient care including Group sessions and Staff and Patient Training sessions. In summary the Inter-AHP suite is developed and updated in conjunction with Allied Health Professionals (AHPs) and Hospital Management. The system administrator may configure each modules to support data sharing providing for controlled data access to designated users as required. Inter-AHP is easy to use, intuitive and steps through the patient treatment process to assist in record keeping. Inter-AHP leads to increases productivity by reducing administrative tasks. All Inter-AHP modules supports the tracking and management of direct and indirect patient care including Group sessions and Staff and Patient Training sessions. Inter-AHP’s intuitive interface allows AHP to be trained quickly. Physiotherapy staff can manage and track patient diagnosis, treatment, appliances and outcome using the Inter-AHP Physiotherapy module. The Physiotherapy module is intuitive and easy to use. 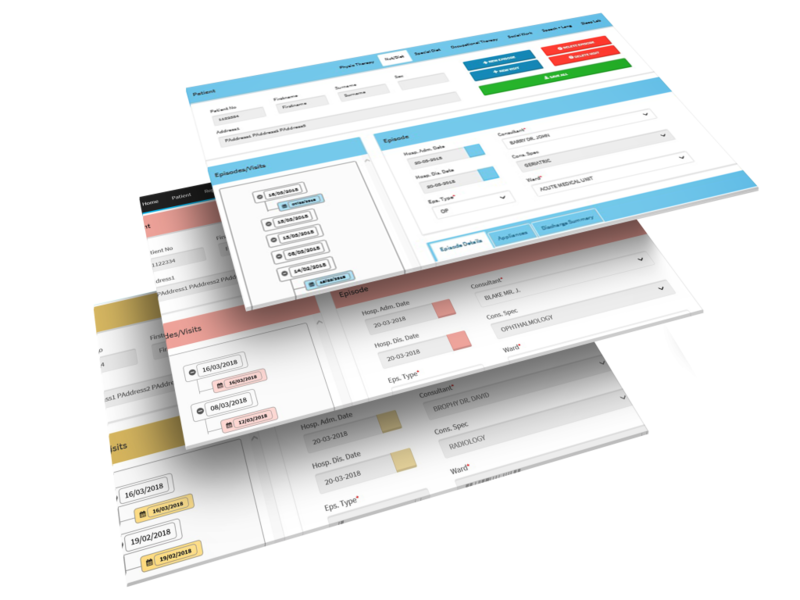 The module includes details of all patients’ episodes and visits. Information such as referral details, treatment details, outcome measures may be captured or shared. Patients medications, investigation and appliances provided during care are available at the click of a mouse. Facilitates Quick access to all the information on past and current episodes of care. Generates a physiotherapy discharge summary report when treatment is complete to share with other caregivers. Occupational therapy staff can manage and track patient diagnosis, treatment plan, interventions, splints/scars, equipment, home visits and outcome measures using the Inter-AHP Occupational therapy module. The Occupational Therapy module is intuitive and easy to use. Materials and design of Splint/Scar treatment procedures are captured during care are also available at the click of a mouse. Details of Home Visits are also facilitated. The module provides for quick access to all the information on past and current episodes and care visits. Generates a occupational therapy discharge summary report when treatment is complete to share with other caregivers. The Nutrition & Dietetics module provides staff with a simple to use software module to support the management, planning and utilization of Dietitians care delivery and utilisation. The Nutrition and Dietetics module is intuitive and easy to use. Patients medications, BMI, clinical notes, investigation and appliances provided during care are available at the click of a mouse. Facilitates quick access to all the information on current and past episodes and care visits. Generates a Nutrition and Dietetics discharge summary report when treatment is complete to share with other caregivers. The Special Diet Requesting module provides the Dietitian with a simple to use interface with the Catering Department. The module saves staff time for both the Dietetics and the Catering. The module is proven to reduce meal wastage on the day the system goes live and every day afterwards. The Special Diet Requesting module is intuitive and easy to use. Supports the recording of a patient’s special dietary requirements. The module will automatically cancel a special diet on patient discharge and/or when patient is fasting. Special Diet meals follow the patient when they transfer between wards. Special Diets delivers a simple to use interface to the Catering Department tuned to simplify meal production and managing special dietary requirements for patients. 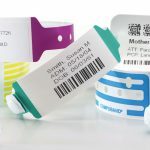 Patient specific Meal labels are produced (to identify specific meals) and meal preparation reports are produced simply and with ease in the Catering Department. Speech and Language Therapy staff can manage and track patient episodes of care. This includes assessment, diagnosis, treatment resources and outcome using the S&LT module. The Speech and Language Therapy module is intuitive and easy to use. Information such as referral details, diagnosis details, treatment goals, outcome measures may be captured and shared. Patients investigation and resources provided during care are available at the click of a mouse. Quick access to all the information on current and past care episodes and visit attendances . Generates a Speech and language therapy discharge summary report when treatment is complete to share with other caregivers. Developed in conjunction with the hospital social workers and management. The Social work module is intuitive and easy to use. The module supports productivity efficiencies by minimising administrative overhead. The benefits of having treatment data available at all times at the point of care saves resource time. Preparing reports is just a simple mouse click. Patient records are secure and are available to designated personnel only. Access to patient records are managed by the Social Work module system administrator. The Social work module is intuitive and easy to use. 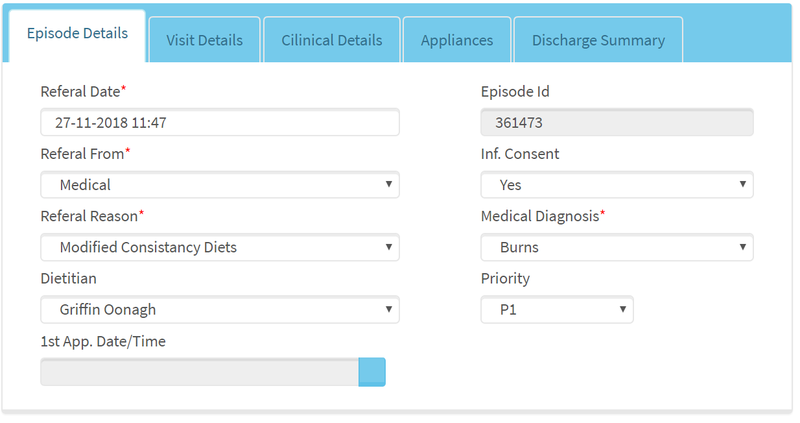 The module allows the Social work Department to easily record and access patient episode details, visit details, outcome measures, discharge and case statistics etc.. during episodes of care and treatment visits. Quick access to all the information on past and current episodes of care is available to authenticated system users. Levels of access are managed and controlled. Generates a social work summary report when treatment is complete to share with other caregivers. Delivers comprehensive accurate predefined monthly reports to Health System Management (HSE etc.) with a simple mouse click. Sleep laboratory technologist can now fully document, track and manage the sleep therapy record. The record will include routine observations and results of the patients treatment and analysis. The sleep laboratory module is intuitive and easy to use. Facilitates Sleep lab staff recording patient treatment details such as compliance data, treatment plan, clinical interventions and investigation performed during the patient treatment. Facilitates Quick access to all the information on past and current care visits. Generates a sleep lab summary report when treatment is complete to share with other caregivers.